Thanks to everyone who helped participate in this year’s Giving Tuesday! 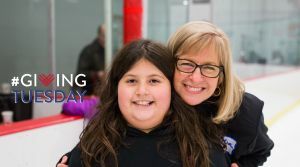 On a similar note, ’tis the season of giving, so we put together a list of ways you can make an even bigger impact as a mentor in your community as a Big Brother or Big Sister this holiday season. Enjoy! 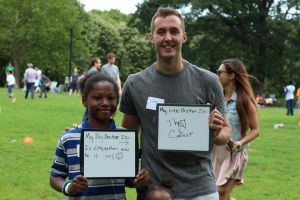 Did you know that Bigs who were referred to the program by other mentors are statistically more likely to have a longer lasting and impactful match? You’re already making a different being a Big, but imagine all of the children you could impact but just referring your friends. You can start by joining our group The Big League. Here are some resources to help guide you when talking about the program. Want to cast a wider web when sharing your experience and trying to refer friends? Take to social media to share your bi-monthly outings with your Little. Show off a funny picture the two of you took or a really cool experience you had together. Once your social network sees the match in action, they’ll be dying to make an impact of their own. 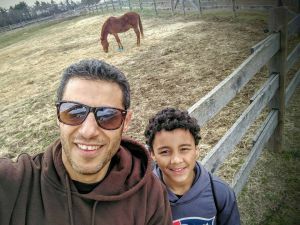 Do you and your Little have an interesting backstory? Do you have advice that could be worthwhile for other matches? Want to just simply show off how cool your Little is? Reach out to BBBSMB and we can feature you on our blog! Sharing a real life mentoring story can make an extraordinary impact for both current and prospective Bigs. Not to mention how cool it can be for you and your Little to see your story on paper. By making a donation to BBBSMB, you aren’t just giving money to a good cause, but rather making an investment in a child’s future. Any gift, no matter how—’big’ or ‘little’—can help set a child on their path to success and give them the opportunity to thrive in our community. In 2017, we will begin collaborating with a group of our most passionate ambassadors, both current and former Bigs, to establish the Big League. This selective group of Bigs will be tasked with unifying the 2000+ Big Brothers and Big Sisters that are part of our mentoring family. If you have a minute, please take our survey to give us insight on what this program can do for you. There ain’t no party like a BBBSMB party, because a BBBSMB party don’t stop! 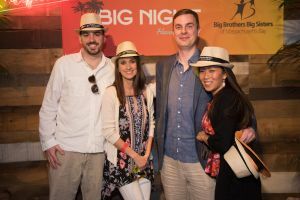 Throughout the year, BBBSMB hosts countless events that you and your Little, friends, family, significant others, can have a blast at. Dance the night away at Big Night, press your luck at our casino night, or bike for a good cause with Rodmans Ride for Kids. Check out all of our event’s here. At BBBSMB, we offer many different groups for you to join and further support the agency. From Young Professionals, to alumni Bigs and Littles, to our diversity council we offer many different ways for you to share your opinions and further give back to our mission. Want to learn more about these and other opportunities? Contact us here.